With more and more businesses moving online, customer communication is becoming more and more important. To solve this nearly every type of website now have a “contact us” form and many who wish to stay ahead of times are now employing live chat support in their website. Thus being one of the most popular PSD to WordPress conversion service we regularly have to code websites that require Online Chat functionalities. Since most websites don’t have the infrastructure to maintain a self-hosted online chat, most use a third party WordPress plugin that can be used to achieve this functionality. Thus for the same reason we are always on look out for great Live-Chat plugins.. So it was no accident that we came across Comm100 Live Chat plugin and considered trying it out ourselves. And we have got to admit, that the results were more than satisfactory. Comm100 Live chat is a premium live chat plugin for WordPress that can be used to, well, chat in real time with your website visitors, albeit in text form only. It was first released in 2009 and since then has constantly increased in number of uses and popularity. Currently it is used by more than 100,000 registered businesses around the world and is frequently placed in best plugins list by many different reviewers. Developed by Comm100 Network Corporation, Com100 Live Chat can easily be integrated with other Com100 plugins and analytics such as Comm100 Ticket and Salesforce Customer Relation Management tool. IN addition the Comm100 offers smartphones app to access live chat dashboard. In this review we will check how easily you can install the plugin, what are its features, and the usability of the plugin itself. Comm100 Live Chat can be installed by two ways. One in which you can copy paste a provided piece of code between the <body> </body> tags, and the other involves searching Comm100 Live Chat in “Add Plugin” option of the WordPress dashboard. You may have guessed it correctly, WordPress dashboard option is much easier if you are not an expert programmer and we would recommend using the same way. All you have to do is search Comm100 Live Chat in the search form, click on install. After installation find the plugin in plugin manager of the dashboard, click on settings, and then create a new account with Comm100. As said earlier this is a premium plugin so you would have to buy their services. But they are worth the price. For those who only wish to test the plugin can create a 15-day trial account free of charge. Over all the installation process is extremely simple and stream lined. The documentation provided by the plugin developers is more than enough to solve any problem that you may face in the process but even then if some problem arises, Comm100 has a great customer support. After installing the plugin and opening an account with Comm100, the first thing that you would be guided to would be a dedicated Chat dashboard on the Comm100 website.. The plugin first activates as a floating chat button that initially shows only email-us option. You can activate the live chat by logging in the Comm control panel on the WordPress dashboard of your site and clicking on the Get Online and Chat option in the Live Chat dedicated option page. This will open a new window that will make you online and available for a real chat with your visitors. Customizable placement on the webpage: The software can be highly customized and can be embedded as a floating button or as a dedicated button on the webpage. Add multiple operators: You can add multiple online operators to handle multiple live chats at once through the chat dashboard. The more operators you add, the more you have to pay for Chat software’s services. The incoming chats can be distributed evenly among the operators. The operators can even transfer chat from one to another. Advanced monitoring and tracking: This feature is in itself loaded with sub-features. You can track from where a user visited, for how long the visitor was on the website, which representative the visitor was chatting to and that for how long, where was he located etc. This tracking tool is one of the best available on the internet and is very useful for developing websites to create market strategies. An offline mode: even if you are offline, the plugin acts as a ‘contact us form’. The Comm100 site itself keeps track of the incoming messages and displays to you. Send images: The user can even send images through the plugin not just text. It is super useful in sending screenshots. All in all the plugin is loaded with features that one may require of a live chat plugin. But it’s only limited to live text chat mind you and cant be used to perform voice or video chat with the customer support. But that is an all together different functionality and requires different set of tools and support. By now you know how the plugin is installed, what major features it has, and how you can use them. Even though there are lots of features in the plugin, it is not very difficult to learn. The best thing about this plugin is that nearly every useful feature of this plugin is accessible with a single click of a mouse, thus the plugin rate very high in user friendliness. The plugin only gets complicated when you integrate it with analytics tools and addition Comm100 software, but analytics is always the most complicated part of a website. 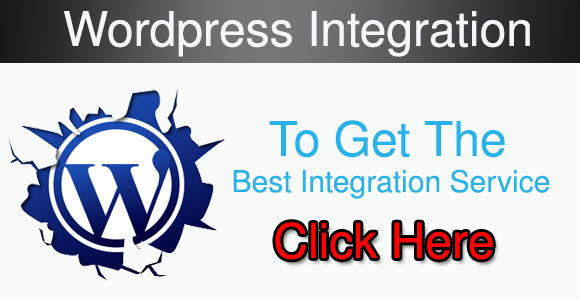 In addition to all the features Comm100 has a great customer support and will provide you with a free online training on integrating the plugin on your website and using the plugin. Comm100 Live Chat is loaded with features and is very user friendly. The future additions that may be required of the product would be a live audio or video chat along with a better integrated analytics support. Another problem that we witnessed in the plugin was when the operator comes online through the dashboard, it opens in a new window rather than the same window. It may be considered very convenient for some but the best practice would be to open the chat window on the same page itself. But overall Comm100 Live chat is a very useful online chat plugin and we would recommend you to use it.